Survey data shows STRONG support for smoke-free areas! Why Pomona? 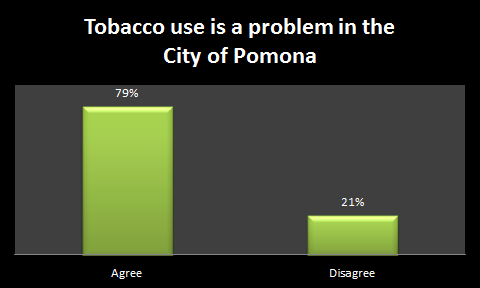 We conducted a survey in 2012 asking Pomona residents about smoking. 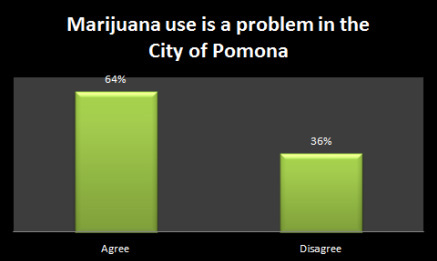 Over 63% of respondents feel that marijuana use is a problem in the city of Pomona and over 64% would feel more comfortable asking someone to stop smoking in outdoor areas if it were illegal. Now that smoke-free parks in Pomona are a reality, residents can breathe cleaner air and experience a higher quality of life. Among other questions, Pomona residents were asked the following: "Please State To What Level You Agree/Disagree With The Following Statement:"